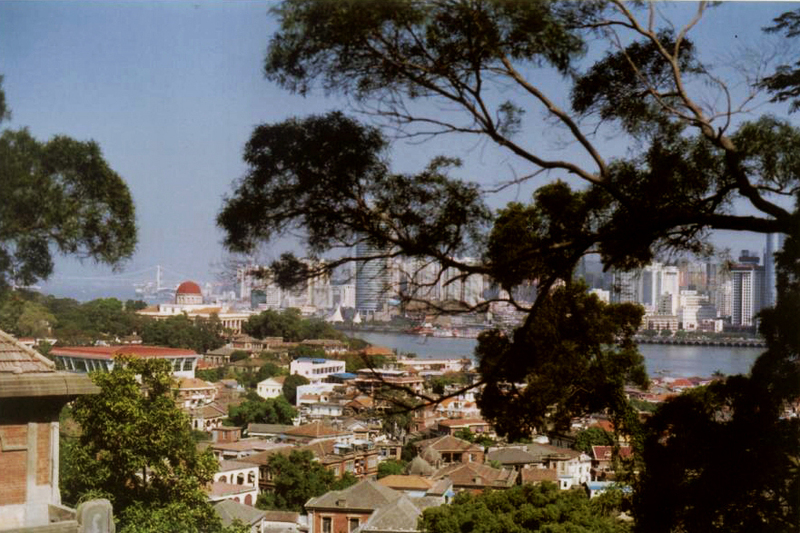 In 1986 a New Zealander named Mark was living on the island of Gulangyu and running a small firm which assisted foreign companies trying to set up businesses in Xiamen’s Special Economic Zone. Much of what Mark said then is still applicable today, particularly when seen in the context of intercultural negotiations of all kinds. The idea of my company is to help middle-sized foreign companies do business here. Unfortunately, with the world’s economic downturn, there are not as many wanting to come here. Our business is very slow. The big corporations, which are still coming into the country, don’t need someone like me. They do fine because of their size and the fact that they’re doing fairly heavy capital investment. The middle-sized companies, which definitely need my help, are in a pinch and aren’t expanding very much. They’re the ones pulling out of China. They don’t have a lot of money for research and development, and they need negotiations outside of their own country to bring results reasonably quickly. They can’t afford four years of negotiations, particularly in Beijing or Shanghai or Guangzhou, where it can cost the company $175,000 to $200,000 a year just for office space. The Chinese insist that foreign offices must be in a luxury hotel or one of the expensive new office buildings. Also, a lot of foreign companies think China is reverting to old policies and it’s going to be a long time before the Chinese buy again. So why pay out $200,000 a year just for the privilege of working? My opinion is that right now China is not buying those things that it classes as luxury items—televisions, cassette recorders, gold-plated chopsticks—because they make a big dip into the foreign exchange reserves. If the money China spent on heavily-processed goods had been spent on processing lines for the same items, China would be able to make its own products rather than import them. However, China is still very much in the market for high-tech equipment. They’ve just stopped buying stuff they don’t need. In my work I’m the go-between with questions to ask the Chinese that the foreigners are forgetting to ask and questions the Chinese don’t think of asking the foreigners. I’m the person in the middle to solve problems before they become problems. One company was looking into setting up a manufacturing plant here and wanted to know about labor laws in the Xiamen Special Economic Zone. I found out the prescribed range of salary and wages for various types of workers from engineers down to lifters and shovers. It looks very cheap, but there are many other costs that aren’t included in the wage. Most Westerners only think of a wage and a bonus for good work. Well, here if your factory or plant isn’t near good public transport, you’ve got to supply transport for your workers to and from work. If there are no eating facilities nearby, then you’ve got to supply a canteen or bring food in. You may also have to provide accommodation. Then there’s medical insurance, five or seven months’ maternity leave and quite substantial severance pay, as well as other things. So you can end up paying two and a half times the workers’ cash wage. I think these provisions for workers are great, but it means that labor isn’t as cheap as foreign companies first believe it is, so I tell them in advance. Now, had the equipment supplier known beforehand, a very simple modification would have been done in Europe before the machinery ever left the plant. As it was, modifications needed to be made to the machinery, but that wasn’t in the contract, so the Chinese wouldn’t let them do it. The equipment was useless, and the foreign company had to get in touch with the suppler of the machinery because if an unauthorized person made the changes, the machinery would no longer be covered under the warranty or the insurance. The two companies finally sorted that one out. The foreign company brought out more people from Europe, so there was the double airfare for however many people had to come out with all the bits and pieces of equipment. The foreign company had to go through and do it. Then a month later it just came out that the Chinese had in fact done a study of their own which had been available when the foreigners asked about it. Why things are done this way I don’t know. That’s the major problem people who work here run into. They’re not given the information that’s available. Quite definitely distrust goes both ways. The Chinese have learned not to trust either foreigners or Overseas Chinese. When China first started doing business with foreign companies, they were very naive about doing business, especially with Overseas Chinese. I don’t think they realized that Hong Kong business people are business people first and Chinese second. One example that springs to my mind is at the Guan Hai Yuan [Sea View Gardens] on Gulangyu, near the beach and down the hill from the English Middle School. It used to be the foreign enclave where the Amoy Club and all the consulates and all the villas for the foreigners were. Some of the villas have been renovated. Well, as far as I understand, the renovation for Guan Hai Yuan was paid for with local Xiamen money or Fujian money, but a Hong Kong company or companies were hired to make the arrangements. Half-way through the project they ran out of money. Now, outside many of the buildings—for one extreme example—are brown paving tiles. They’re Italian, brought all the way from Europe into Hong Kong and then brought into Xiamen to pave the ground outside these buildings. For that kind of job ordinary Chinese outdoor tiles would have done perfectly well. The Hong Kong people probably made money by importing the tiles from Italy through one part of the company and then selling them to the part of the company that was dealing with China. Another example is the vacuum cleaner for the Guan Hai Yuan. There are carpets and bare floors throughout the place, so they need a vacuum cleaner and a polisher. They were sold a vacuum cleaner for $40,000 HK [$5,076 US]. This is a very big machine. They’ve got to have four people to lift it up the stairs. There’s another hotel in town which has a machine that’s both a polisher and vacuum cleaner you can do steps and chairs with. It cost maybe a quarter of what the one at the Guang Hai Yuan. That’s just another example of Hong Kong people selling China something that’s prohibitively expensive and pretty worthless for the job they bought it for. The Guang Hai Yuan is now out of money. They don’t have the money for advertising. The place is just going completely downhill. All the rooms remain damp because there are no people in them using air-conditioners. It’s a great shame. Another problem has to do with poor planning. Last year Chinese foreign reserves went down, resulting in a trade deficit of fifty billion US dollars, because there was very, very little central control of Chinese companies. Whenever controls are relaxed businesses go for a quick profit. The Chinese authorities opened the four Special Economic Zones to foreign business and then in September last year opened these fourteen coastal cities. And a lot of the money was going to them as well as Hainan Island [the location of a big financial scandal in the summer of 1985]. When the central authorities gave the coastal cities autonomy over how they spent their foreign exchange, they must have thought it would be spent wisely, that they would put it into projects rather than a lot of unnecessary consumer goods. The individuals and companies weren’t up to the responsibility. For example, if you look out at the Huli Industrial District, you’ll see something like five hundred or a thousand small trucks brought into the Special Economic Zone to sell inland at a big profit, even though they had permission to import only to the SEZ, which for tax purposes is seen as “outside China.” Once the product goes across to Jimei there’s a big tax on it. The government saw this purchase as a waste of foreign exchange and said, “No, you can’t sell them inland. You sell them all in Xiamen.” There wasn’t a big enough market in Xiamen. Then the importers were told they had to sell them to a third country. Well, they’d paid more than the market price for them to start off with, so if they wanted to sell them again they had to lose a lot of money. The trucks have been sitting in the SEZ for a year now, and permission has just been granted to sell them in China, where they’ll be sold at the new car price. The red tape has also increased again, and that can really spell trouble. For example, an American oil corporation has a joint venture with a Beijing company to produce four-wheel drive vehicles. The joint venture company plans to produce all the parts in China at some future date, but at the moment they’re importing the vehicles in knock-down form and assembling them here. That means they have to pay hard currency for the kits, and they have to sell the cars for foreign exchange in order to buy more kits. Reminbi (Chinese currency) is of absolutely no use to them. The joint venture almost went out of business because they could no longer use the foreign exchange currency they had access to without permission. Suddenly they weren’t in a position to pay for the vehicles they had already bought. After quite long discussion the bureau in Beijing said the company could pay their creditors and could continue selling a certain number of vehicles to local Chinese corporations. Eventually they were given the money because it would create more foreign exchange in the long run. They’ll buy a better production line, and then they’ll be able to sell more of their products overseas, and they’ll get the money back. That’s certainly true of lots of—almost all—units. If they are foreign exchange earners they are paid in Reminbi by the government-run export-import corporation. Many units are now trying to form joint ventures with foreign companies solely because a joint venture is allowed to do its own exporting, which may be only a way to get around the regulations. Some of the problems with investing in China come from the fact that you can’t get guarantees from the Bank of China, particularly for heavy capital investment in things like hotels, which tie up capital for thirty years or so. During that period of time the money could be used three times over to import production lines or technology of some sort. There’s also a difference in banking practice, in that foreign banks will guarantee twenty times their capital, figuring that not all the concerns will go broke. The Bank of China guarantees fifteen times its capital. I think playing it safe is a pretty reasonable economic policy, given the state of banks in other parts of the world. Apparently China is going to cut down the heavy capital investment guarantees and try and spread the money over a lot more projects. In general the economy seems to be pretty sound. The new system China is developing is not capitalist because workers have to be looked after by the enterprise. There are some “free workers” who have their own places to live, but most of the workers are still be housed by the work unit and will be in future. They call it “market socialism,” but there isn’t really a good name for it. I know that China has never been communist. Communism, like democracy, is an ideal that probably doesn’t actually exist. People are basically greedy and don’t allow such systems to happen. I would say China is heading towards a more extreme version of the system New Zealand has. New Zealand started as a social experiment. It gave women the vote early, it has free higher education. I got paid to go to university. While you’re a child, you have free dental and medical care subsidized by the government. Your basic needs are provided for. If you’re out of work, there’s an unemployment benefit for as long as you need it. This is not an unemployment insurance that you have to pay into. If you’re a single parent, there’s a benefit so you can just live and look after your child. I think China will develop a system very much a market economy, but with a lot of state support as well. It would be very sad to see China’s state-owned enterprises being taken over by free enterprises. If you’ve got a few state shops who are supplying goods with a minimum mark-up, just enough to pay salaries and overhead costs, it will keep the prices for the same product down in the free market areas. I think that’s really necessary. They could keep a certain number of state-run factories which put out goods of an acceptable quality while still allowing other companies to produce higher-priced goods. The goods from the state factories would prevent the higher-priced goods from becoming ludicrously high. That’s something New Zealand doesn’t have, but I think that’s what China’s headed toward.